So not too long ago I tried amla powder on my hair and it was a nightmare! 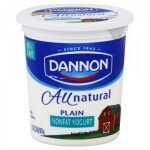 I mixed it with yogurt, oils, and water as it stated on the back of the bottle. I even let it sit for about 1 hour. I put it on my hair and I had the hardest time washing it out! It was like little mud pellets stuck all through out my hair, which took wash after wash to get it all out! Sheesh…maybe I should have just tried amla oil instead :-/. 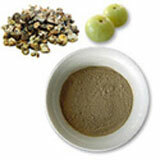 Benefits of amla powder and oil: It is derived from the Indian gooseberry and is very nourishing for the hair and scalp. 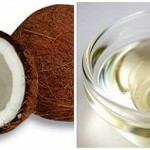 It strengthens the hair, adds shine, and is said to promote hair growth, prevent premature graying, and hair loss. What did I do wrong? Has anyone tried amla powder? I say keep the oil and ditch the yogurt. Try adding honey instead to make the mixture goopy. Then when you rinse, it sort of melts off. Hope that helps! I mix it with deep conditioner and/or conditioner until it has a smooth mixture and then apply. Alternatively, you could sieve it – I agree leave the yoghurt, I also mix it with shikaki powder. Have never tried it, but your experience sounds awful. Oh, I also use plenty of EVO or Coconut oil in the mixture-which may help some. Sorry to hear about that awful experience. Alma powder is a staple for me. I use it in my henna treatments and I have also used it with shikaki, aritha and other herbs to shampoo my hair. It is usually advisable to oil your hair beforehand when using these herbs. Also, soaking these powders well before using it also makes rinsing them out much easier. I usually soak my powders overnight at room temperature and coupled with pre-shampoo oiling my hair before applying the powders, I have never had any difficulties washing it out of my hair, and my hair is 4b/c. Another tip is to dunk your hair in a tub of water or in a sink full of water to get rid of most of the mud and then you can proceed to do the rest of the rinsing out in the shower if you wish. I always rinse mine out in a tub (wash basin) of water. Hope this helps. Sorry to hear about that awful experience. Alma powder is a staple for me. 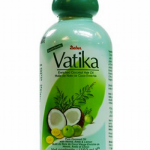 I use it in my henna treatments and I have also used it with yogurt, shikaki, aritha and other herbs to shampoo my hair. It is usually advisable to oil your hair beforehand when using these herbs. Also, soaking these powders well before using it also makes rinsing them out much easier. I usually soak my powders overnight at room temperature and coupled with pre-shampoo oiling my hair before applying the powders, I have never had any difficulties washing it out of my hair, and my hair is 4b/c. Another tip is to dunk your hair in a tub of water or in a sink full of water to get rid of most of the mud and then you can proceed to do the rest of the rinsing out in the shower if you wish. I always rinse mine out in a tub (wash basin) of water. Hope this helps. Hi, Nikisha : ). I think that if you mixed some Apple Cider Vinegar into the Alma powder mix it would have prevented the mud clumps that was difficult for you to wash out because the Apple Cider Vinegar would loosen the consistency of the powder just a little bit. hi nikisha… im sorry to hear about your mishap! ive never applied amla as a paste to my entire hair, but in the past i usually apply amla oil to my hair strands overnite and then rinse it out in the morning. i follow up by applying a paste of amla, shikakai, and hot water only to my scalp for 15 mins and then I co-wash it out. i follow up my DC. this method got my hair really clean and left it moisturized but it got a little tedious. I still oil my hair before hand, but now i make a tea out of the amla and shikakai and just pour it over my head while massaging my scalp. i do this bending over the tub so i have a little bowl to catch the run so i can re use it hehe. it gives the same results, its much quicker, and i dont have to use as much powder! This is what I do! I learnt it from NappyNFree on youtube. With my henna/amla mixes, I find washing it out with a cheapie conditioner (v05 moisture milks) is usually fine. However, my hair is short right now, so maybe that’s why it’s easy. I’ve tried amla to cleanse my hair, in conjunction with other powders, but it was just too much of a hassle. BUT, I did discover that amla is an excellent exfoliant and brightens the skin (I believe it is a citrus fruit). Now it’s my staple exfoliant as I have sensitive/acne-prone skin, and larger granuals would cause irritation. Just mix equal amounts amla with hot water, let sit for 15 minutes and apply. Hi guys!! I love your blog by the way!! Coincidentally one of my co-workers a native of South India was giving me the step by step break down for her shampoo and conditioning process. She 1st boils a tabs of amala and a tbs. of shikakai together then applies once it cools. She did it last night so I could see the difference this morning. It was supper shinny and weighed down. The amount of moisture her hair ad was ridiculous!!! why not just keep it simple and just add hot water like it says on most boxes of amla powder? I notice everyone is mixing it with something but very few just keeping it a simple process. I havent mixed mine with anything and it rinses out just fine…I do use a conditioner for the rinse though. I think you maybe onto something with keeping it simple. Hey Nikisha, I have been using ayurvedic powders for years now and have had many mishaps when I first started. Now I always make sure to do a prepoo. I do it on dirty hair and use ayurvedic oils like amla or neem or light oils like jojoba and coconut/avocado instead of olive oil because I mix the herbs with coconut milk instead of just water. My scalp would be too oily otherwise, I use heavier oils when I shampoo my hair. I leave it on overnight, rinse the oil out and apply the mixture (consisting of amla mixed with whatever powder I have like shikakai, neem, rose, bhringraj, henna) and coconut milk. After a few hours I rinse it all out and do a second one with conditioner. This always does the trick. Good luck! PrePOO: the only thing better than a Diluted POO just to get things nice and warmed up!! Genius! I love this forum! Hi! The first time I used Amla, I mix about 100gr of the powder, some oils and water. Let it sit overnight and applied on my hair next morning. It was a nightmare: my hair got dull and I saw no definition at all. I had to wash my hair twice to get it back to its normal. After that, I was not enthusiastic about the powder, even with all the hype. Almost got rid of the powder. Then, a dear friend taught me her recipe: 2 teaspoons of Amla, 1 teaspoon of any oil, enough water to cover this ingredients. Stir well till mix everything well. Then, add a neutral conditioner till get a good consistency (like dye paste). Make your hair wet (otherwise, it will be needed a huge amount of the Amla mixture), make it in sections. First on the scalp because Amla is very good for it and then spread the paste in the hair, specially on the ends. Let it on hair from 30 minutes to 1 1/2 hour, as you wish. This recipe changed my feeling towards Amla. I’ve repeated it weekly and my hair really likes it. It becomes very defined, frizzfree, shiny and soft. I love Amla now :-). Maybe you should try the afore mentioned Diluted POO…you know, for good measure. try adding apple cider vinegar in the mix….its a breeze to wash out after!!! Not sure if you are still interested in amla but I will share with you my experience. I keep it very simple. I mix equal parts amla and brahmi with hot water. I then add a couple of tablespoons of caster and olive oil. I let it sit for at least an hour. I wet my hair and apply the mix a section at a time. I haven’t had any problems with rinsing it out. I also try to just water rinse my hair for a good number of minutes and afterward do a diluted poo for good measure. This works for me! I hope you give amla a try again. Start simple and then tweak it. Haha! Diluted POO!!! crack me up! You can knock out bot the spritz and the mud wash by just doing the Diluted POO…or if you really wanna go nuts do the below mentioned PrePOO and once its all warmed up and worked into your hair, then you take a Diluted POO on your head to finish it off. Otherwise good advice!! Did you cover your hair well while the amla mixture was on it? Also, something I find that helps me a great deal is the ‘mermaid soak’- fill the sink with warm water and dunk your hair in. This really helps remove the paste from the hair. When you feel as though all the paste has been washed out, apply conditioner and massage this gently to the roots to get any further particles out, then hop in the shower. is it best to use hot water or cold water? I had an allergic reaction to something and it took my hair out. It was slow coming back and I tried all kinds of remedies. Finally, I combined a daily dose of inositol (500 mg twice a day), 20mg biotin per day and fo-ti twice a day. To support growth from the outside, I discovered amla oil and powder. After shampooing and rinsing , I apply amla. I don’t mix anything with the powder…just hot water to get it to a thick consistency like cake batter. Usually 1 part water (say a tablespoon) to 2 parts amla. Let it stay on the hair for 30 minutes; then rinse with SLIGHTLY warm WATER to loosen it, followed by a cooler rinse. Also I always do this in the shower so that I can stay long enough to make sure it’s all rinsed out. I do this about 3 times per week. The fuzz that was the beginning of my hair’s return is stronger and thicker than it was before I did nothing to help it along. How is your hair doing now? I’m not sure what happened but I have a bald patch in my hair, it seemed to have appeared overnight. I went to a derm and without performing any tests or touching it, they diagnosed me with alopecia areata. I’m going to consult my physician, however, I’m just wondering how your hair is doing now. Oh Goodness, How are you doing now? I never heard of alopecia areata. I pray you are better in Jesus Name! Alma oil & aloe vera does a dynamic punch repairing/rebuilding hair. Coconut oil acts as sealant and moisturizer, henna like all hair dyes will add richness to natural color but also slightly roughs the hair for better absorption. The honey is a humectant that draws moisture from the air to prevent dryness and the rosemary stimulates scalp circulation encouraging new hair growth. Place ingredients in a glass dropper bottle. Note to make solid coconut oil liquid for initial blend warm slightly placing measured amount in a small dish and place in warm water to slowly liquify. make sure you blend all very well -I make extra large batches to bottle an use often – I’ve save the old large vo5 plastic bottles for mulit-use to refill my homemade hot oil treatment to have in the bathroom all the time. Use: at times the coconut oil will solidify, so upon setting up a bath/shower take the hottest water and place in bowl to set your bottle of hair oil just as you would warm up VO5 hot oil treatment. After you washed/conditioned hair- towel dry, when still damp – place a few drops in palm of hand about a dime size for short and quarter for long – spread between hands and work through damp hair even massaging scalp. leave in for 10-15 minutes before blow dry/ comb (prefer one with wide teeth designed for damp hair). The time when hair will be damaged is force combing or brushing wet hair it stretches the hair fibers making them weak & prone to break so it’s recommended to dry partial first before combing or brushing out. It works best as preventative/pre-styling hair aid. Note the first day use some henna may stain pillows but second day it should set in. Use very little henna it acts like a hair glaze that over time gradually covers gray or adds new hair dimensions in color such as highlights or textures pending shade or colors you’ve selected. Mix all the ingredients well I use a mini blender make up larger batches to store in a jar for re-use. To damp hair apply working into scalp and hair (cover with plastic hair dying cover & towel) let set a while or leave in overnight. You want rinse hair first with very warm water to soften the oils to be broken down with your shampoo it may take 2-3 shampoo to rinse residue that may flatten hair conditions as usually- dry and style as usual. hopes this help you—-alma powder is good in smoothies – it’s also an immunity booster, stablize blood sugar and anti-inflammatory (get food grade as touted to help with arthritis & diabetes but please check with doctor as there may be interactions with prescription drugs) so yes mixed in with a clay mask for facials it will work on break outs (inflammation & bacteria) —- but do test first warning as some people are allergic to alma (Indian Gooseberry)…. I really enjoyed your in depth explanation to use the alma product. Do you happen to have a youtube channel, facebook group, anything of the sort were you share helpful information? Years ago I found that to get henna out you need to use conditioner. First rinse the powder as much as you can. Then put conditioner in your hair (cheap cause you will use quite a bit). Work it in then rinse, the pellets should slide right out. Then you can wash and condition again, if you want. I use organic Amla powder mixed with lemon juice. I am a dark brunette and I’m 46 years old. I may have 5 grey hairs! Try using a derma roller on your scalp every 4-6 weeks for better absorption.